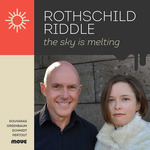 The sky is melting / Glen Riddle and Marianne Rothschild. Sonus dulcis : for soprano and pianoforte / Andrián Pertout. Sonus dulcis : for clarinet and pianoforte / Andrián Pertout. Sonus dulcis : for alto flute and pianoforte / Andrián Pertout. Sonus dulcis : for symphony orchestra [eScore] / Andrián Pertout. Sonus dulcis : for symphony orchestra / Andrián Pertout. Sonus dulcis : for large ensemble / Andrián Pertout. Sonus dulcis : for piano trio / Andrián Pertout. Sonus dulcis : for flute quartet / Andrián Pertout. Sonus dulcis : for flute quartet [eScore] / Andrián Pertout. Sonus dulcis : for guitar quartet / Andrián Pertout. Sonus dulcis : for clarinet, violin, violoncello and pianoforte / Andrián Pertout. Sonus dulcis : for alto flute, clarinet, guitar, contrabass and pianoforte / Andrián Pertout. Sonus dulcis : for clarinet, violin, viola, violoncello and pianoforte / Andrián Pertout. Sonus dulcis : for flute, clarinet, violin, violoncello and pianoforte / Andrián Pertout. Sonus dulcis : for oboe, clarinet, violin, violoncello and pianoforte / Andrián Pertout. Sonus dulcis : for reed quintet [eScore] / Andrián Pertout. Sonus dulcis : for oboe, saxophone, violin, violoncello and pianoforte / Andrián Pertout. Sonus dulcis : for saxophone quartet / Andrián Pertout. Sonus dulcis : for soprano, sho/saxophone and percussion / Andrián Pertout. Sonus dulcis : for soprano, sho/saxophone and pianoforte / Andrián Pertout. Sonus dulcis : for string orchestra / Andrián Pertout. Sonus dulcis : for string quartet / Andrián Pertout. Sonus dulcis : for alto flute, guitar and violoncello / Andrián Pertout. Sonus dulcis : for violin, bass clarinet and accordion / Andrián Pertout. Sonus dulcis : for clarinet, violoncello and piano / Andrián Pertout. Sonus dulcis : for clarinet, violoncello and piano [eScore] / Andrián Pertout. Sonus dulcis : for alto flute, bass clarinet and guitar / Andrián Pertout. Sonus dulcis : for flute, guitar and violoncello [eScore] / Andrián Pertout. Sonus dulcis : for flute, violoncello and pianoforte / Andrián Pertout. Sonus dulcis : for flute, cello and pianoforte / Andrián Pertout. Sonus dulcis : for trumpet, violoncello and pianoforte / Andrián Pertout. Sonus dulcis : for violin and pianoforte / Andrián Pertout. 25 jahr jubiläm, Harmonia Classica. Sonus dulcis : for flute ensemble / Andrián Pertout. Sonus dulcis : for flute, clarinet, French horn, violoncello and pianoforte / Andrián Pertout. Sonus dulcis : for woodwind quintet / Andrián Pertout. Symétrie intégrante / Andrián Pertout. Cinq petites mélodies / Andrián Pertout. New Australian music for piano trio. Pañc hazar chakra kai andar / Andrián Pertout. L'assaut sur la raison / Andrián Pertout. Bénédiction d'un conquérant / Andrián Pertout. 23 Sep 17: South Melbourne Town Hall, Melbourne, Australia. Featuring Melbourne Lawyer’s Orchestra, Robert Dora. 29 Jul 17: Texas Historical Marker, New Hope Baptist Church, ‘Applause Music Festival,’ Mansfield, Texas, USA. Featuring Ascending Duo. 28 May 16: Ministry Hall, Gozo, Malta. 30 Apr 16: ‘Now and Then: A String Orchestral Concert’, St Andrew Presbyterian Church, Yuba City, California, USA. Featuring Scott Seaton, Veridian Symphony Orchestra. 29 Apr 16: Sir Zelman Cowen School of Music, Performing Arts Centre, Monash University, Clayton, Melbourne. Featuring Peter Sheridan, Monash University Flute Ensemble. 29 Apr 2016: at Free Sounds: Flute Ensemble (Sir Zelman Cowen School of Music - Building 68, Music Auditorium). 3 Mar 16: The Barn at Rosny Farm, 2016 Tasmanian Composers Festival ‘Music from the Islands’ Concert, Rosny Park, Hobart. Featuring Luca Ferrini, Joe Kotar. 20 Dec 15: Heliodôme, Cosswiller, France. Featuring Federico Palacios, Célia Schmitt. 19 Jul 14: First Presbyterian Church, San Diego, California, USA. Featuring Crossroads Trio. 3 Jul 11: Barn Gallery, Monsalvat, Eltham, Melbourne, Australia. Featuring Marianne Rothschild, Glenn Riddle. 2 Apr 2011: at Colours of the Sea (Cork School of Music). Featuring Ozmosis Ensemble. 1 Mar 11: Curtis Auditorium, Cork School of Music, Cork City, Ireland. Featuring Ozmosis Ensemble. 24 Sep 2009: at Southern Cross Philharmonia (Melba Hall). Featuring Gerald Gentry, Southern Cross Philharmonia Orchestra. 31 Jul 2009: at Australian Chamber Ensemble (Conservatorium Recital Hall (Hobart)). Featuring Australian Chamber Ensemble. 31 Jul 09: Conservatorium Recital Hall, University of Tasmania Conservatorium of Music, Hobart, Australia.. Featuring Australian Chamber Ensemble. 2 May 2009: at Sydney Soloists: Suburban Australia (Campbelltown Arts Centre). Featuring Christina Leonard, Sydney Soloists. 21 Apr 09: Gallery 701, Center for Contemporary Art, Columbia, South Carolina, USA. Featuring Sonia Jacobsen, University of Southern California World Symphonic Jazz Orchestra. 15 Oct 08: Recital Hall, School of Music, University of South Carolina, Columbia, South Carolina, USA. Featuring University of South Carolina World Symphonic Jazz Orchestra, Sonia Jacobsen. 4 Oct 08: Curtis Auditorium, Cork School of Music, Cork City, Ireland. Featuring Katrina Emtage, Nicole Panizza, Ilse de Ziah. 3 Oct 08: Recital Hall, School of Music, University of South Carolina, Columbia, South Carolina, USA. Featuring University of South Carolina World Symphonic Jazz Orchestra, Sonia Jacobsen. 9 Mar 08: Music Cafe, Sydney Conservatorium of Music, Sydney. Featuring Grevillea Ensemble. 6 Jan 08: Anna Hall, Actus Nonaka, Shibuya-ku, Tokyo, Japan. Featuring Haruna Takabe, Natsuko Mineghishi, Naomi Sato. 9 Dec 07: Concertzaal Mengal, Royal Conservatory of Ghent, Belgium. Featuring Duo Dicto. 5 Dec 07: Keele University, Keele, Staffordshire, UK. Featuring Duo Dicto. 16 Nov 07: Facultad de Humanidades y Educación de la Universidad Central de Venezuela, Caracas, Venezuela. Featuring Duo Dicto. 27 Apr 07: 'Harmonica Classica 25th anniversary' Concert, Bosendorfersaal, Vienna, Austria. Featuring Duo Dicto. 15 Oct 06: Art Gallery of New South Wales, The Domain, Sydney, Australia. Featuring Patrick Murphy, Victoria Jacono-Gilmovich, Marina Phillips. 31 Jul 06: Collins St Baptist Church, Melbourne. Featuring Eugene Ughetti, Natsuko Mineghishi, Naomi Sato. 16 Jun 06: Lochristi Music Festival, Lochristi, Belgium. Featuring Marco Antonio Mazzini, Koen Walraevens, Daniel Rojas. 15 May 06: Melba Hall, University of Melbourne, Parkville, Melbourne, Australia. Featuring New Audience Ensemble. 27 Nov 05: ‘Cine City’, Vlissingen, The Netherlands. Featuring Koen Walraevens, Sabina Rakcheyeva, Marco Antonio Mazzini. 20 Nov 05: ‘Gradus ad Parnassum’ Concert Series, Concertzaal Mengal, Royal Conservatory of Ghent, Belgium. Featuring Koen Walraevens, Sabina Rakcheyeva, Marco Antonio Mazzini. 6 Nov 05: Centro Cultural de España, Tercer Festival Internacional de Música Clásica Contemporánea de Lima, Lima, Peru. Featuring Duo Dicto. 29 Jan 05: Alexander Centre, Faversham, UK. Featuring Oare String Orchestra. 29 Sep 04: Morphy Hall, School of Music, Mosse Humanities Building, University of Wisconsin-Madison, Wisconsin, USA. Featuring Crossroads Trio. 26 Sep 04: University of Wisconsin-Extension, Wisconsin, USA. Featuring Crossroads Trio. 17 Sep 04: Meier Recital Hall, Black Hills State University, Spearfish, South Dakota, USA. Featuring Orenunn Trio. 29 Apr 04: 2004 Rarescale/RCM Alto Flute Composition Competition, Belle Shenkman Studio, Royal College of Music, London, UK. Featuring Gabriella Swallow, David Black, Carla Rees. 10 Apr 04: Wadsworth Auditorium, State University of New York, School of Performing Arts, SCI (Society of Composers Inc.) ‘Region II Conference, Geneseo, New York, USA. Featuring George Macero, Vladimir Pritsker, Steven Heyman. 31 Jan 04: Oare String Orchestra Third International ‘Music for Strings’ Composing Competition, Alexander Centre, Faversham, Kent, UK. Featuring Peter Aviss, Oare String Orchestra. 14 Nov 03: Sala Polivalente Biblioteca Comunale ‘E. De Amicis’, Anzola Emilia, Bologna, Italy. Featuring Crossroads Trio. 13 Nov 03: Circolo ‘La Rovere’, Mantova, Italy. Featuring Crossroads Trio. 9 Nov 03: Teatro Gonzaga, Piazza Castello, Ostiano, Cremona, Italy.. Featuring Crossroads Trio. 3 Nov 03: Gryphon Gallery, University of Melbourne, Parkville, Melbourne. Featuring Tinalley String Quartet. 17 Aug 03: Rippon Lea Estate, Elsternwick, Melbourne, Australia. Featuring Rachel Atkinson, Isin Cakmakcioglu, Robert Chamberlain. 2 Jun 03: Iwaki Auditorium, ABC Centre Southbank Boulevard, Southbank, Melbourne, Australia. Featuring Rachel Atkinson, Isin Cakmakcioglu, Robert Chamberlain. 9 Mar 03: Barwon Park, Winchelsea, Australia. Featuring Rachel Atkinson, Isin Cakmakcioglu, Robert Chamberlain. 6 Mar 03: Barry and Helen Novy Residence, Toorak, Melbourne, Australia. Featuring Rachel Atkinson, Isin Cakmakcioglu, Robert Chamberlain. 13 Oct 02: Glenfern, East St Kilda, Melbourne, Australia. Featuring Rachel Atkinson, Isin Cakmakcioglu, Robert Chamberlain. 9 Jun 02: Gryphon Gallery, University of Melbourne, Parkville, Melbourne, Australia. Featuring Imelda Baligod, Alan Lee, Bonnie Smart. 9 May 02: Kumho Art Hall, 2002 Asian Contemporary Music Festival, Seoul, Korea. Featuring Sori Ensemble. 9 Oct 00: Melba Hall, University of Melbourne, Parkville, Melbourne, Australia. Featuring Tim Archbold, Marcus Allport, Aaron Barnden.